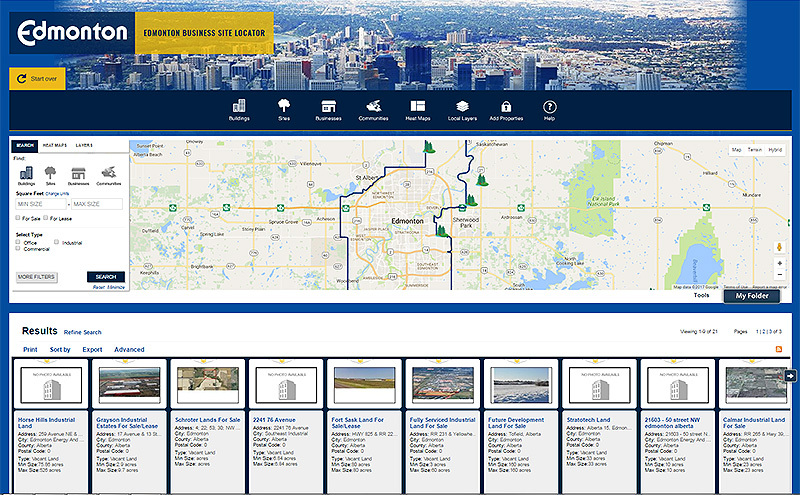 Edmonton, AB's capital city, is an international transportation hub with excellent land development options and a streamlined building permit process. The City maintains a variety of reports and publications including land inventory analysis, demographic trends and forecasts, taxes and utility charges comparison with other cities, as well as other facts and information that may be beneficial to your home, group, or business. Edmonton is at the same approximate latitude as Manchester, England and Hamburg, Germany. Edmonton is in the same Mountain time zone as Denver, Salt Lake City and Phoenix. The city straddles the Yellowhead Highway, an important east-west road route that leads to the port of Prince Rupert on the Pacific Ocean, and is also a direct inland route to major trading and shipping hubs in Saskatoon, Sask and Winnipeg, Mb. Edmonton is also connected by rail to Prince Rupert's deep-water port, making both cities an important link in the North American-Asian global trade chain. Edmonton is one hub of the economically vibrant Edmonton-Calgary Corridor and is connected to Calgary via the Queen Elizabeth II Highway, a four-lane route.